Breadtop bakery Chadstone is a premium quality, 'Baked on the premises’ retail concept. We offer the opportunity of self service products to suit Asian, local and European tastes. 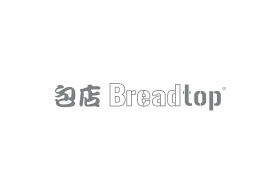 Breadtop is proud to have under its wing 80 bread and pastry lines and over 70 individual cake styles. Our product lines are continually being refined to ensure that every style and product has a strong customer appeal. Enjoy sweet buns, pastries, savory items, rolls, loaves and doughnuts as well as many varieties of cakes.